Izzet (Blue-Red) Artifacts "Exquisite Invention"
Jund (Black-Red-Green) Lands "Nature's Vengeance"
Bant (White-Blue-Green) Enchantments "Adaptive Enchantment"
Esper (White-Blue-Black) Top of Library Matters "Subjective Reality"
In magical Christmasland I'd say we're due for a reprint of Crucible of Worlds, Scroll Rack, Krark-Clan Ironworks, and Greater Auramancy. 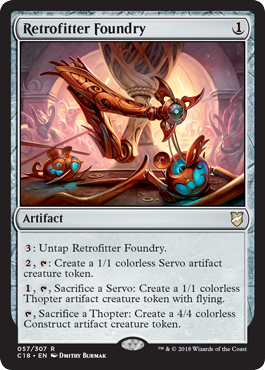 In the real world, I do think a reprint of Ironworks is definitely a good idea. 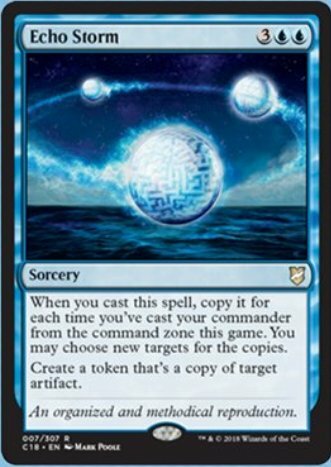 This would also be the perfect time for a reprint of Mishra's Bauble. 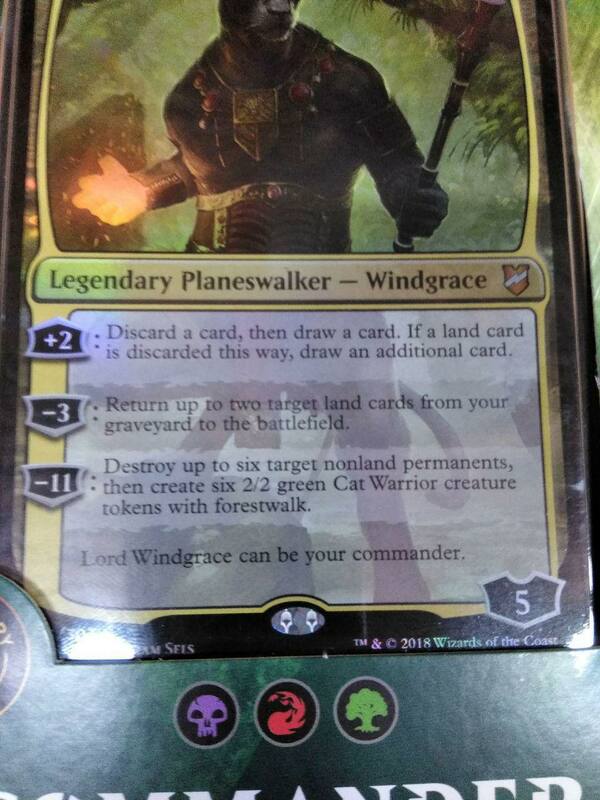 But Crucible was just reprinted in M19, idk if they'd be putting it in two products that come out so closely together but I could be wrong. One speculation/wish that I read before the announcement yesterday was someone saying it would be neat if they did different realms for each deck. With the release of the pictures, it seems unlikely but still possible. 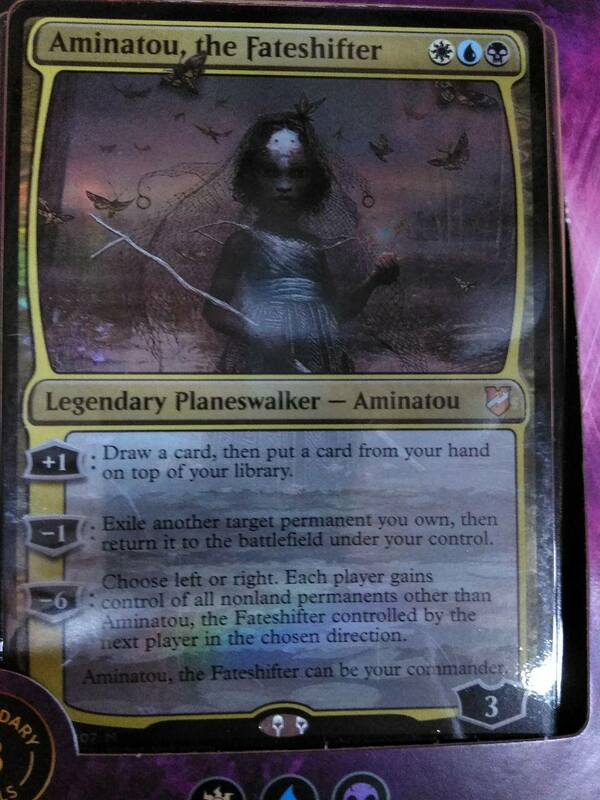 The zombie is obviously Innistrad; the woman pouring from the vase/urn is obviously Theros; the masked woman could be Kamigawa, and any of the others could be Dominaria. Doubt this will follow through, but that would be neat to see. Having played some games with early test versions of these decks, I can say that they were loads of fun with each other. That is excellent to hear! 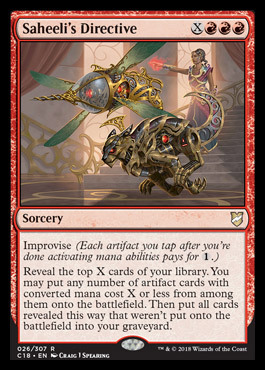 I officially "got out of Magic" a few years ago when I sold my collect (for a downpayment on my house!). However, I kept all of the Commander Pre-Con decks, sleeved and ready to play. The only cards I have bought since I left have been the Commander decks. I sleeve them all up and keep them together. I figure they all should be -relatively- close in power and fun to play against as long as they are playing against each other. 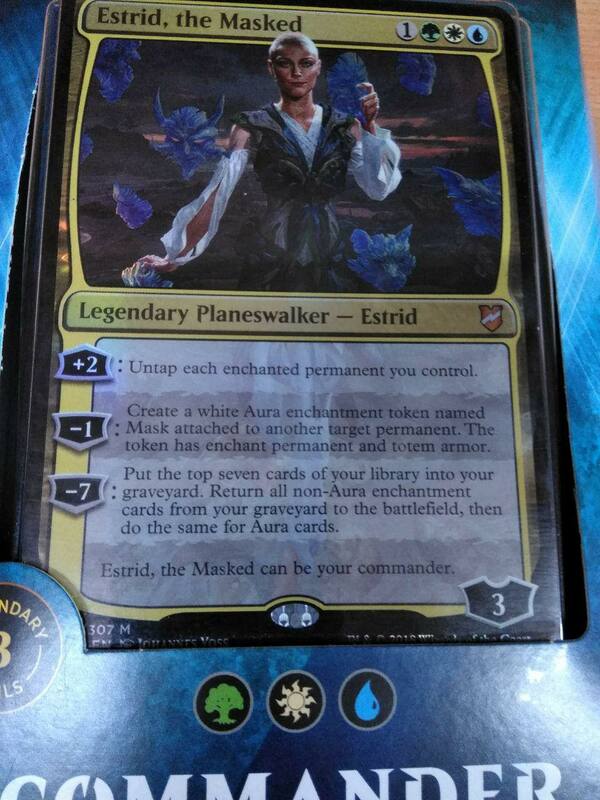 Well the first spoiler is a doosey! 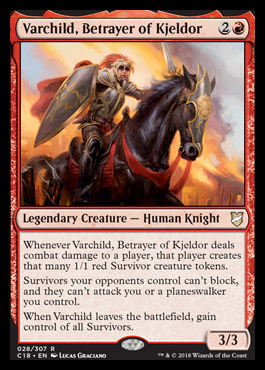 Damn... my first thought was to include it in my Bruse Tarl/Ikra Shidiqi deck, but it's definitely a non-bo with Bruse. 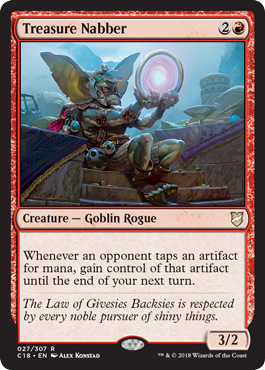 Still probably pretty good though, especially if your general is an Eldrazi or some other massive CMC creature. 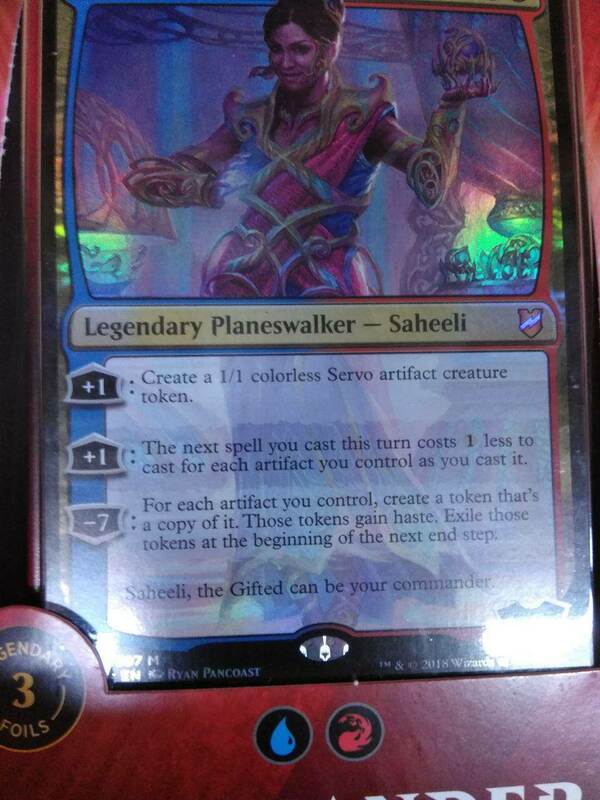 Disappointed it's a 5/3 Artifact Creature but not a Juggernaut. Juggernaut tribal gets no love. 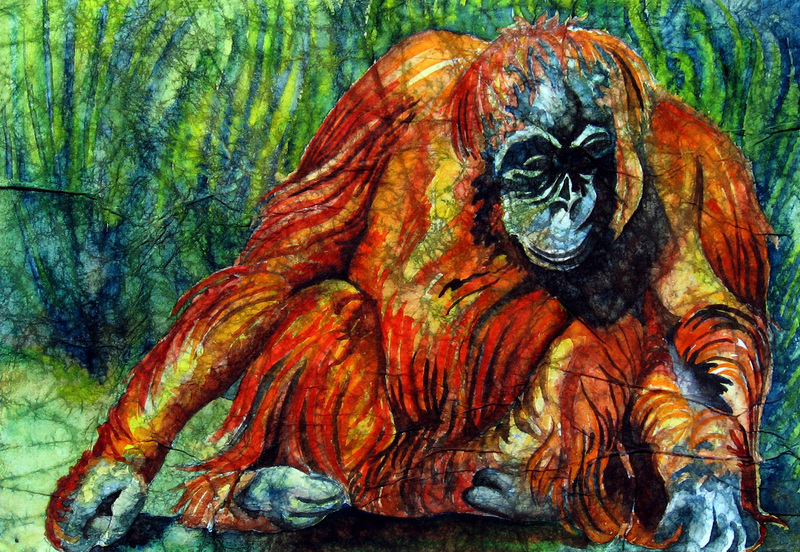 This may be one of the greatest creatures ever made. Or at least since Boldwyr Intimidator. Wow! Now partner that up with Aether Flash and Dingus Staff and that's a beating! 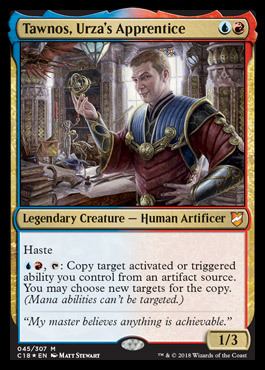 Tawnos, Urza's Apprentice with Illusionist's Bracers equipped, and Kurkesh, Onakke Ancient on the field, with Rings of Brighthearth, and Rowan Kenrith's emblem all targeting Magistrate's Scepter's 2nd ability? Or Planar Bridge?